We’re all going through massive change both personal and collective. What’s shifting for you and how do you balance life’s demands? What would it take to build your dream life? Know that it’s possible! CONTACT US today to learn more about YOUR Soul’s evolution. We specialize in long term effective change. One breathwork session can positively transform your life. It cleanses your energy field, uploads you to a higher frequency while refreshing your mind, body & spirit. It’s efficient in dismantling what no longer works to help you rebuild on a firm foundation. Several sessions recommended for optimal results. In depth private and premium programs available. Group breathwork is also an option for your holistic or small business retreat. CONTACT US to for a confidential, transformative experience. With over 30 years in the healing arts field, we’re highly skilled to assist you with tuning into your Soul’s Code and activating your dream life. I’ve worked with Kesha for several seasons now, and her work has completely transformed my life. I’d considered several other well-known business coaches, and within a few sessions I knew that I had made the right choice in working with Kesha. Her intuitive capacities are remarkable and clearly guide her work– she’s touched areas of my life that I didn’t even know were connected to the transformations that I was seeking. She repeatedly tailored our one-on-one sessions to address my personal and professional aspirations, meeting me each session with her signature optimistic vitality and her steady support and clear guidance. If you are seeking someone who understands the connections between the spiritual and material world who you can confide in while nurturing your personal and/or professional aspirations, Kesha would be my top 5-star choice. I met Kesha when I was about 19. Immediately her calm gentle approach to life pulled me in. I was blessed to be coached by her and the practices and words she said to me still impact my life over 10 years later. Her breath-work changed my life! This was one of the most powerful experiences of my life. I was able to move through fear and pain into pure bliss. During one-on-one coaching she gave me tips to bring and reflect on gratitude in my life and I still use these regularly. I get to live a grand life and Kesha was a coach that helped me find so much joy. Immersive soul centered training for anyone struggling with income levels, relationship patterns or clarifying your mission on the planet. 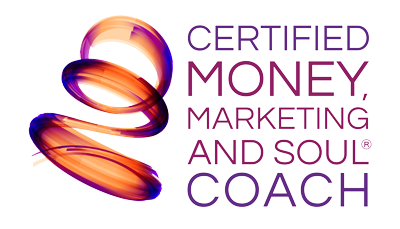 BUSINESS COACHING- New in 2019! Money, Marketing & Soul Programs. You’ll discover vivid details on how your Archetypes influence your destiny. We’ll work together to develop your unique brilliance through this proven system, no matter what business you’re in. Knowing and refining your brand from your Soul’s perspective is deeply spiritual work. If you want clarity and financial freedom with your business this year and are ready to enhance your mission, let’s talk! Wanted to thank you again for showing me the way to the beauty of time and its rewards. I find you bursting with excitement, energy and love; Oh how lucky I am; what a blessing. WOW. I’m a bit rattled but am carrying on. I’m just grateful and glad. You, we did outstanding. Thank you! Also, the new affirmation could prove to be outstanding too. Thank you for your advice. WOW. Again, thank you for all your help. I had no idea. Peace be with you. Download Now Your Free "Branding with Soul Assessment"
This is my thank you gift for signing up to our newsletter. Best to print it out and score it quickly… then schedule a FREE consultation to learn how your archetypes influence your life and business. Receive valuable soul shifting information in our monthly newsletter. You’ll be connected to inspirational messages, uplifting poetry and opportunities that address your soulful life. Welcome aboard. Thank you for your powerful, gracious treatment yesterday. Your ability to be fully present and wide open to receive and give at the same time is a glorious gift for all. Thank you for expanding yourself. Thank you for sharing yourself. Thank you for being exactly who you are. The world is even better with you playing here. My arms are around you. Thank you for all you do with your clearly skilled and intuitive ways Kesha. I very much enjoyed my Coaching Session with you. Great direct hit on bringing forth the inaccurate message I have been subconsciously creating through that has limited my self permission for consistent and bountiful flow. Co-creative sessions designed with you in mind. Possibilities are endless for your personal or business retreat. Gift yourself or someone you love! Programs patterned after proven systems will help you unlock patterns you may not be aware of. Essential, Lifestyle & Premium packaging including VIP mini retreats will nurture your desired results with abundance. Sign up for FREE Gifts and to stay in touch with your Soul!